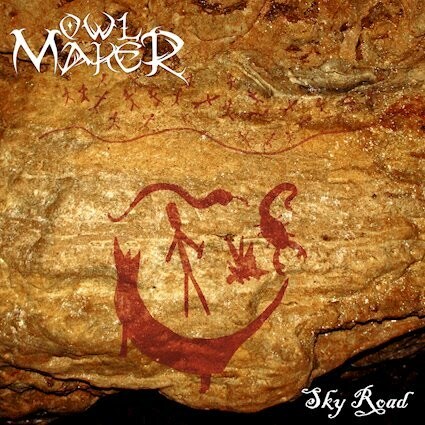 It's rare that I find a band who I thoroughly enjoy as much as I thoroughly enjoy Owl Maker. That is to say they aren't necessarily a band I go back to a lot, but they are a band who I find to be a whole lot of fun. Owl Maker are like a good meal. You dig in, you revel in it while you're there and afterwards say to yourself "Wow that was really special." Their Thin Lizzy by way of Dio romps have always put a smile on my face and this latest two song EP, Sky Road is no exception. It's a straightforward and workmanlike rock and roll assault you gotta love. There has always been something wonderfully anthemic about Owl Maker despite the fact that they rarely rely on big choruses or other tricks to get you singing along. Rather they just come out with an exciting assault that, while certainly rooted in stoner metal isn't afraid to branch out. As opposed to many of their more diverse peers though rather than sounding like a hodgepodge of ideas they have a very clear vision. In fact it might be that more than anything which I enjoy about Owl Maker and their approach to rock and roll, despite the fact that they only have eight songs together as a band, they are already pushing towards their own sound. In this modern stoner rock scene I guess I frequently get frustrated that more people aren't just playing straight up rock music with a heavier edge. This is what differentiates Owl Maker. They aren't trying to soak you in pot scented riffs or drug addled dirges. They are instead a band who clearly just like to have a good time, let their hair down and embrace the wild party of it all. 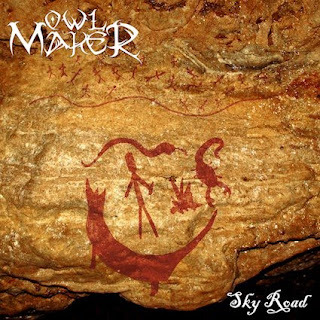 Owl Maker is an absolute hell of a ride and while Sky Road may be a mere two songs, it's two songs that you'll enjoy the hell out of.